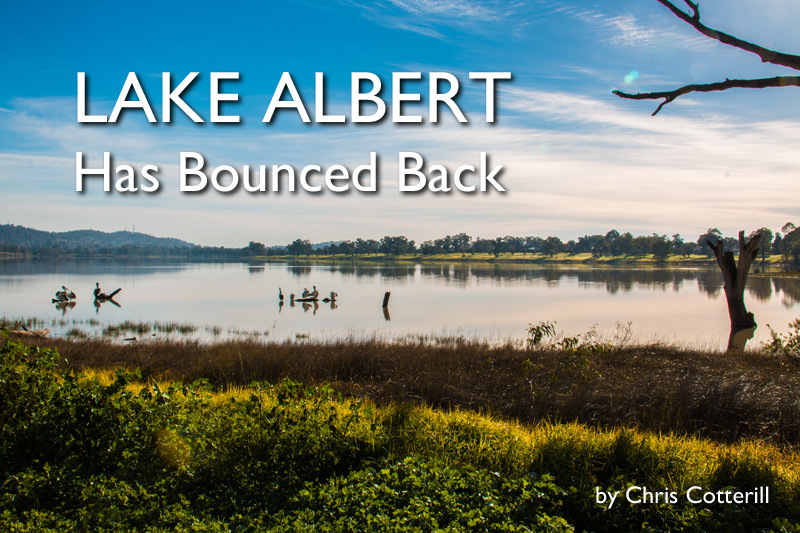 Home Articles Location Lake Albert: Has Bounced Back! 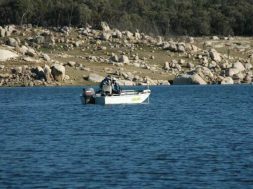 Over 10 years ago the legend of the fantastic fishing in Lake Albert was well documented and known right around the Riverina. 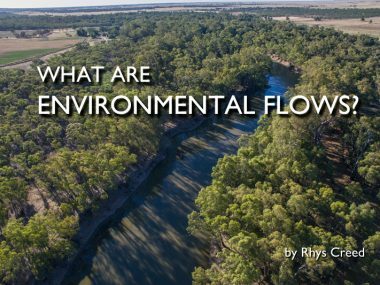 Nestled amongst suburban Wagga Wagga it would be easy to dismiss this small waterway for no other than a place to go for a paddle. Or to catch the odd carp, but it was far from that. 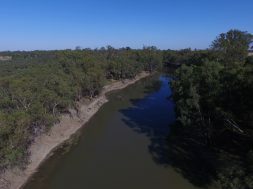 Those who knew this waterway well knew of his great population of huge Murray Cod and plentiful Golden perch. 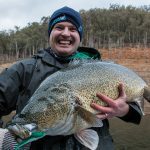 If you don’t believe me you only need to visit the Wagga Boat Club and see the dried head of a giant Murray Cod that was a little too ambitious and decided to try and swallow a basketball size marker buoy and got stuck and unfortunately died. This giant fish was discovered while workers were retrieving the marker buoys and they were astounded at the sheer size and mass of the Cod that took two people to lift in. 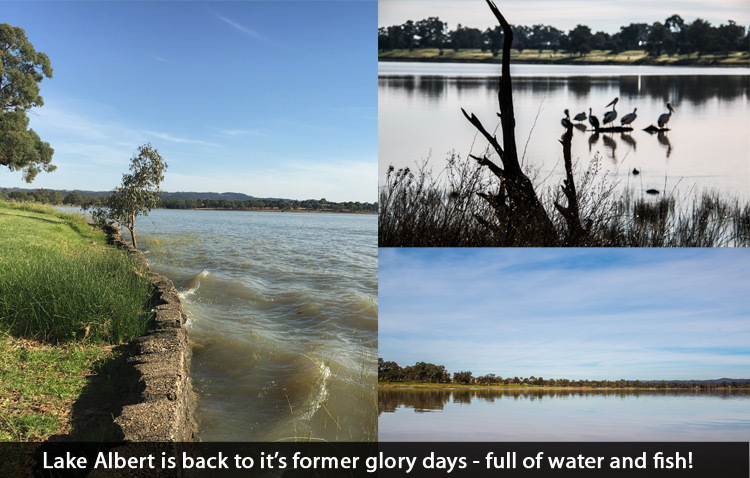 But unfortunately the days of the plentiful meter plus Murray Cod have come and gone. 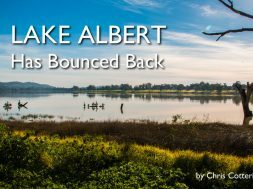 Due to the major drought event that lasted over 10 years poor old lake Albert was reduced to a mere shadow of its former self, and left all the fish dying in a muddy soup at the centre of the lake. The thought that this lake would ever be full again yet alone a great fishery that it once was just thought impossible. But the drought broke and amazingly enough the lake filled in a matter of days. 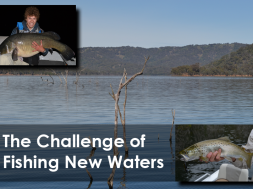 From 2013 the restocking of the lake has been relentless, with Murray Cod, Golden Perch, Silver Perch and Eel Tail Catfish all released into the lake. Since then it’s a very real possibility to catch all four species in one session on the lake. For those who are interested in trying their hand at pulling a fish out of this waterway; here are a few tips. 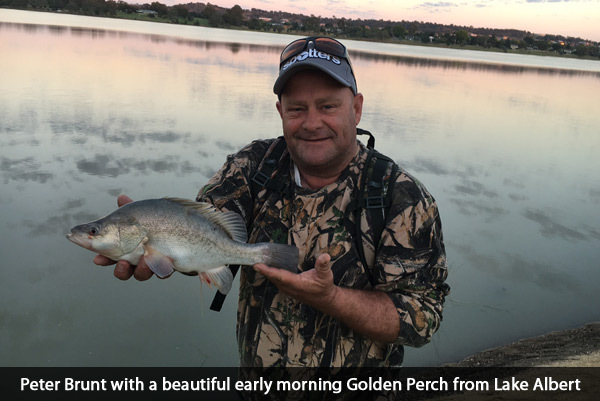 The Golden Perch are very enigmatic, one day you’re catching fish after fish the next day not a touch. The one method that works for me is to pick a section of bank about 100m long and methodically work it with small lipless cranks and Chatterbaits. Once you hook one there is a better than average chance if you persist in the same area you will hook multiple fish. My best session on the Golden’s from the lake came last November when I found a big patch of Golden’s while making prospection casts along the Eastlake side of the lake. In the space of 45 minutes I landed a total of 12 golden perch and dropped 5 more, all on the one lipless crank. This all unfolded while I watched several boats troll past without a bump. Thus the importance of finding the school of fish. Those who are fishing from a boat have the added advantage of covering a lot of water quickly and with the aid of a fish finder you are able to find the schools easily. Once located either trolling lures like 50mm AC Invaders, Size 2 Stumpjumpers or Merlins in dark purples, metallic gold’s and dark greens should do the job. Or the method I prefer is casting spinnerbaits and lipless cranks in a fan pattern methodically searching the water until I find the school. If you happen to pull a few fish either from the bank or the boat and the bite dies off, make a mental note of the area go try somewhere else for half an hour then come back to it. You will find the fish will often come back on the bite after a quick spell. Hook size for me is 1/0 and 2/0 Circle hooks, they are better for the fish and if you manage to hook a by catch Cod you have a better chance at landing it. Unlike the Golden’s the Murray Cod are more scattered due to the lack of structure but if you happen to find a log, stump or just a small undulation in the lake bed they will hold fish. 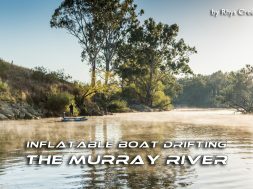 During the summer months the Murray Cod hunt the shallows during the low light hours then try and hide out in the deeper water during the heat of the day and by far the best method of targeting them is by trolling. 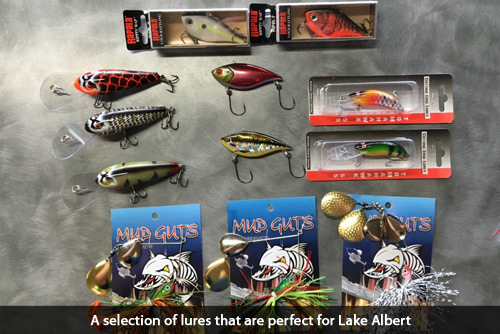 Larger lures that run shallow are hard to find but are not impossible. 90mm Cutting Edge Tomahawks and Strike force 80mm Hardbodys are well suited for this job. 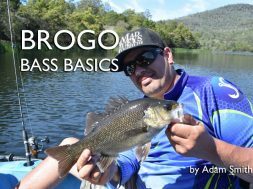 Casting spinnerbaits and lipless crankbaits will work from the boat or bank but a lot more work is needed to find these spread out fish. Trolling is the better option if you can. Bait Fishing for Murray Cod is better done in the early hours of the day or late in the evening. If you’re angling from the bank, this is when these big predators hunt the shallows looking for food that they otherwise couldn’t hunt during the light of the day. If you are angling from a boat find deep water then anchor up and drop baits out the back of the boat. 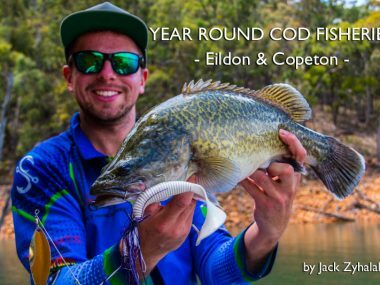 One tactic invented by local fisherman and Murray Cod Guru Jamin Forbes was to literally anchor up in the middle of the lake amongst the skiers and heavy boat traffic and wait. The fish that were pushed from the outside edge of the lake by the skiers would search for refuge in the deeper parts of the lake and all they would find was his boat. The fish would latterly crowd underneath his boat and all Jamin had to do was either run a lure along his boat or drop a big juicy Bardie Grub to the depths that was quite often received by monster Cod. 20lb mono leader is strong enough, being that there is little to none structure to get busted off on you can really let these fish run, so you can opt for really light gear. Bait fishos should run wide gap hooks of around 4/0 to 6/0 depending on bait size. 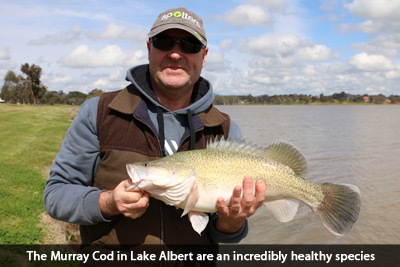 As a large majority of the Murray Cod are around 60 to 70cm these suit well to these fish. When bait fishing I no longer use a sinker, large baits will cast far enough and without current will hold the bottom no dramas. These two species when first stocked made up the bulk of the catches in the lake. But over the past year fewer and fewer catches of these have been reported. For Silver perch this is not surprising. As Silvers mature they nearly become exclusively vegetarian but will occasionally still take a lure of bait. 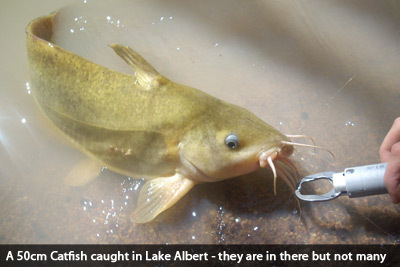 The Catfish are a bit of a mystery. They still every now and then one will pop up in an anglers catch but not in the numbers they once were. 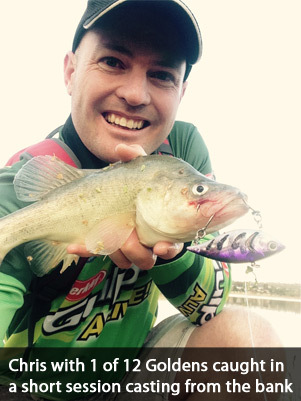 To target Catties I suggest fishing throughout the night with baits of worms and peeled yabbie tails. Unweighted baits on size 1/0 circle hooks with a large belly of line is a good start. Set your drag and wait. Catties don’t have a tap tap bite. They hammer a bait and bolt, so hang on for a great fight. So now that I have given a little look into what this fantastic suburban fishery has to offer it’s time for you to give it a go! And if you stumble along a bald guy casting a lipless crank come and say hi, it’s just me enjoying some fantastic fishing right on my doorstep.